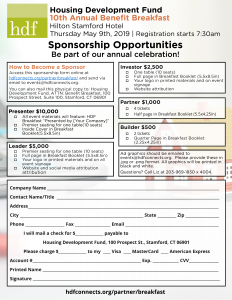 a celebration of entrepreneurship and affordable housing! 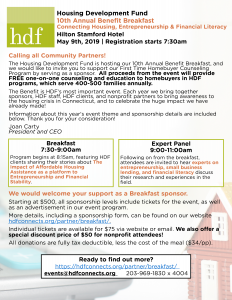 We are delighted to announce that HDF’s 10th Annual “Opening Doors to Opportunity” Benefit Breakfast will be held on Thursday May 9th, 2019 at the Hilton Hotel Stamford. Doors will open at 7:30 AM and the breakfast program will run until 9:30 AM, followed by a panel discussion to end at 11:00 AM. More information on our expert panelists can be found below. 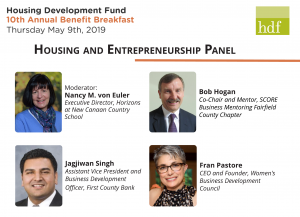 This year’s theme will focus on The Impact of Affordable Housing Assistance as a Platform to Entrepreneurship and Financial Literacy, and showcase HDF clients who have grown from homeowner to business owner! Individual tickets may be purchased online via Paypal below. 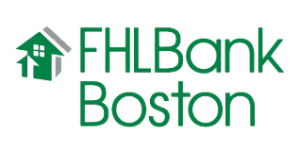 Any questions regarding to sponsorship opportunities, please call us at 203-883-5210! 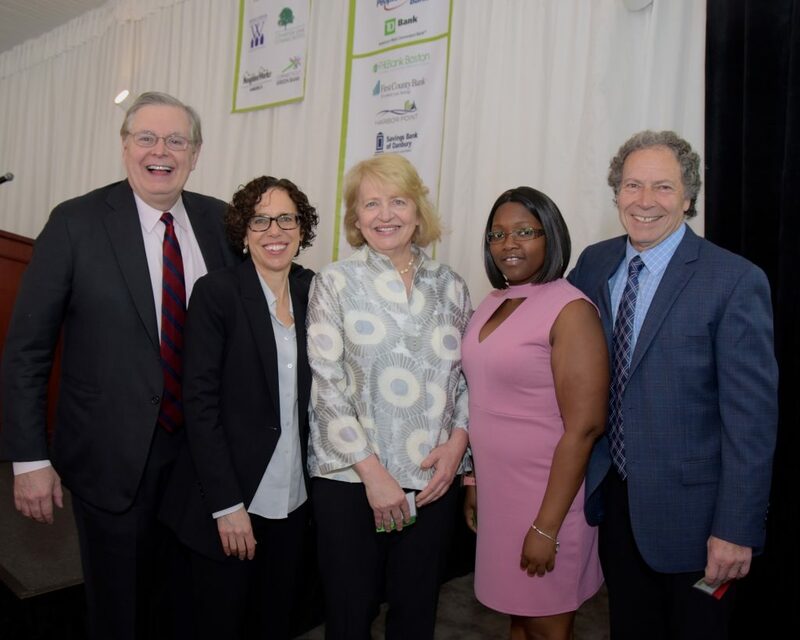 On May 10th, 2018, HDF celebrated our 9th Annual “Opening Doors to Opportunity” Benefit Breakfast at the Greenwich Hyatt Regency. Dr. Ingrid Gould Ellen from NYU Wagner, spoke on “The Impact of Affordable Housing Assistance on Educational Outcomes”. The panel discussion following the breakfast explored the effects of stable and quality housing on educational outcomes.